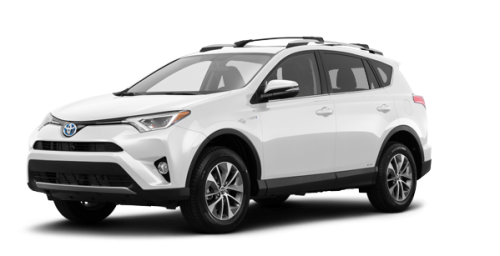 Are you in the market for a 2018 Toyota RAV4 Hybrid in Longueuil? 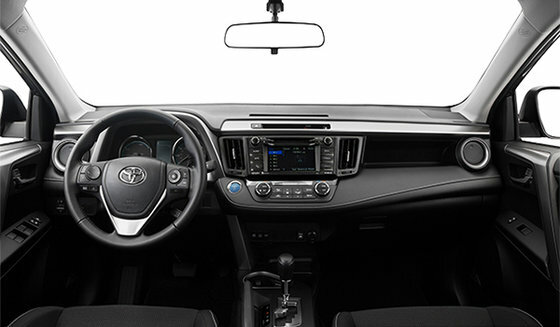 Come see us today at Longueuil Toyota near Brossard and Boucherville! 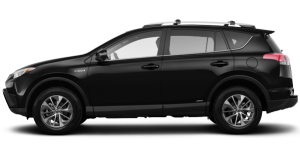 Once here, you will meet our experienced technicians who know better than anyone on Montreal's South Shore about hybrid vehicle technologies and who will be able to give you all the information you need about how they work and their many advantages. 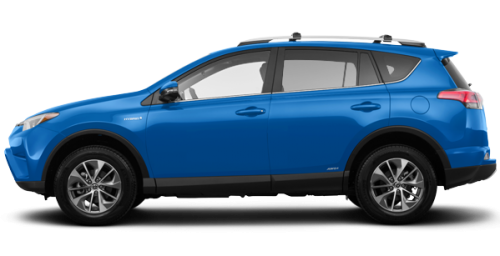 Don't wait any longer and come pick your new RAV4 hybrid near St-Hubert! 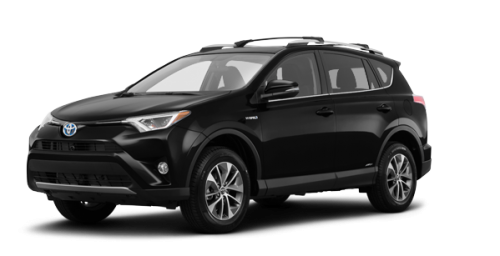 With its 2.5 L 4-cylinder engine paired with the Toyota Hybrid Synergy Drive system, the 2018 Toyota RAV4 Hybrid in Longueuil has a net 194 horsepower. By comparison, that's more than its gasoline-powered model, which only delivers 176 horsepower. And with more power comes increased towing capacity! In fact, you can tow up to 1750 lbs with the hybrid model, compared to 1500 lbs with the combustion engine. The new RAV4 near Saint-Hubert is available in 3 models - LE +, SE and Limited - each one better equipped than the last. Depending on the model you choose, you'll find it has push-button start, front sport seats, 8-way power adjustable driver's seat with lumbar support, 2-zone climate control, power sunroof, powerful navigation system, backup camera, Eco Drive monitor and even more. 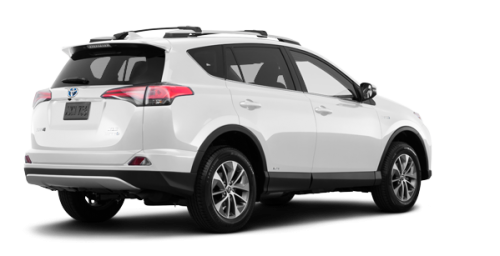 Your RAV4 is roomy and provides a cargo area which varies between 1010 and 2000 litres, depending on whether the back seats are folded down. But one of the biggest advantages of the RAV4 Hybrid is definitely its low fuel consumption. 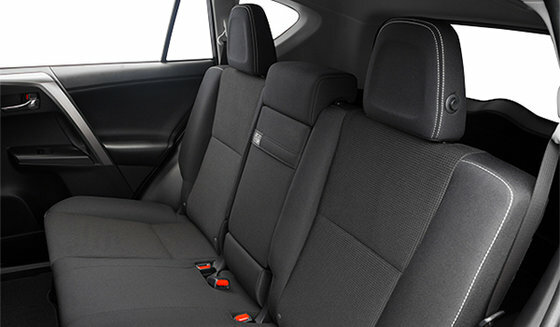 In fact, its city/highway ratings are 6.9/ 7.8 L/100 km, making it the utility vehicle with the best efficiency in its class. 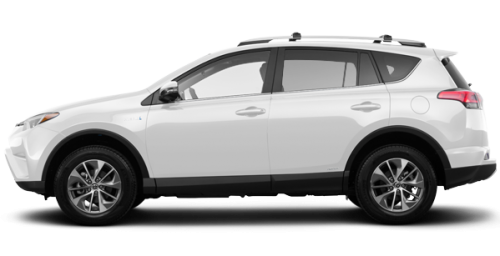 And it also offers many security features like a pre-crash system with pedestrian detection, automatic high-beam, a dynamic radar cruise control and lane departure alert, to name only a few. 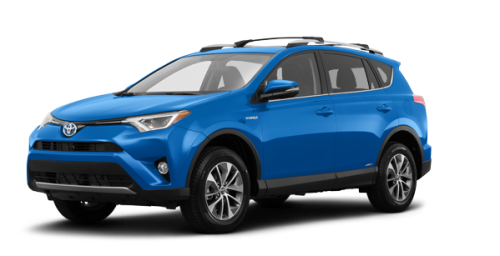 Don't wait any longer and book your test drive in the all-new 2018 Toyota RAV4 Hybrid in Longueuil near Brossard! Or would you prefer a different Toyota Hybrid or a pre-owned RAV4? At Longueuil Toyota you'll find the largest selection of vehicles near Brossard and Boucherville; there's something for all tastes and all budgets. 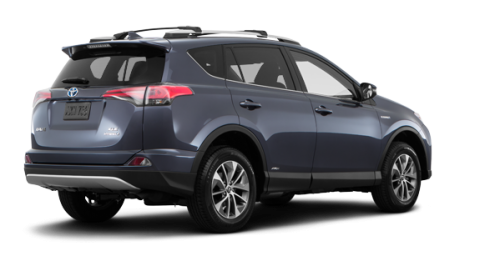 And you'll have access to many Toyota financing options as well as our current Toyota promotions. 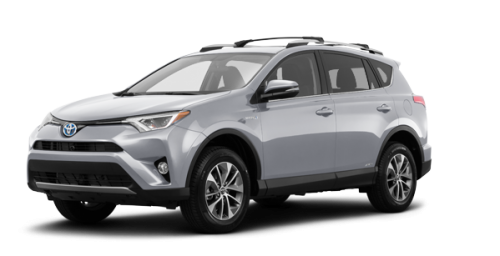 For more information on our in-stock vehicles or on the various offers in our Toyota service department, head over to Longueuil Toyota near Brossard today; we are the leading experts on Montreal's South Shore and in St-Hubert when it comes time to buy a Toyota Hybrid car!